Central States Night at the Races is Saturday evening June 11 Fairmount Park beginning at 6 pm. Cost is $26 per person and includes admission, racing program and buffet dinner. We will be in the First Turn Cafe where we have our own buffet, bar, and betting window. Anyone is welcome to go so bring family and friends. Contact me at crew1ref@sbcglobal .net or at 314-471-7552. Mouth pieces may now be white or clear. Gloves have to meet the 2016 standard. Clipping has been eliminated from the free blocking zone. It is not illegal to clip an opponent any time, anywhere. 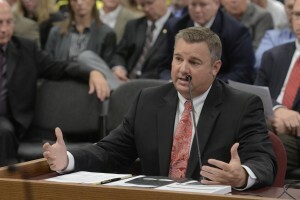 A state House committee has suggested the Missouri State High School Activities Association work to recruit more referees, and see that they get more training. The association’s Executive Director Kerwin Urhahn understands the need for more refs, but he said recruitment is difficult. Urhahn said the Association will work on the quality and number of refs it employs. Urhahn said the shortage of referees is statewide. He said soccer referees are needed most. 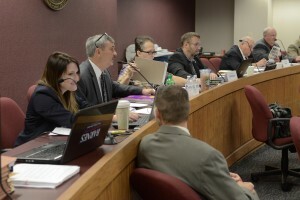 The committee continues meeting today discussing whether MSHSAA has followed the recommendations of a 2007 committee, most of which focused on student safety and compliance with Missouri’s open records and meetings law. Greg Stahl and Jim Rosen have agreed to allow the SLOA to host a MSHSAA state football meeting on August 12. This will take the place of our scheduled meeting. Jim Rosen had already volunteered and was scheduled to give a review of the new rules for 2015. Now, he will be able to do that AND our members will get their annual requirement credit for attending the meeting. To comply, we will have to open the meeting to anyone who wants to attend, including "non" SLOA members which will be a great thing. As the meeting host, we have the opportunity to welcome non-members and embrace them into our community for an evening. Kudos to BILL and Jim for getting this done. I was informed this morning that SLOA member Gary Schaefer's father passed away Saturday July 18 at the age of 93. Funeral arrangements are incomplete at this time. Please keep Gary and his family in your prayers. The Visitation will be Tuesday, July 21 from 3:00-8:00 p.m. at Kutis-Affton on Gravois Road. The Service will be at 10:00 a.m. on Wednesday, July 22 at Christ Commuity Church on 5293 South Lindbergh. Congratulations to Larry Donovan. Larry has been named Baseball Umpire of the year by MSHSAA. He will be recognized by MSHSAA at Officiate Missouri Day.